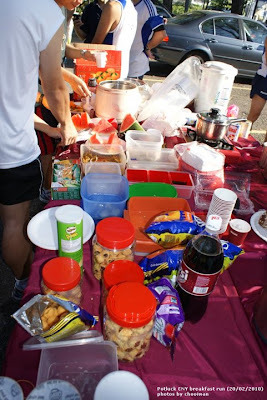 Coming this weekend 24 April 2010, Saturday, Runners Malaysia (RM) are having 4th Anniversary Potluck Breakfast Run which starting 7.30am at Bukit Aman Car Park. All are welcome to join us for the Beginners' Running program for a short run, which is about 4km or 6km up to your choice and after the run, its eating festival! 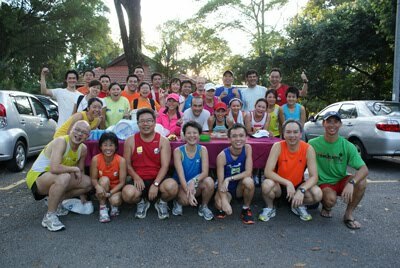 This was recently CNY potluck run which we organised ourself at Bukit Aman Car Park. Another pic, you are welcome to be part of us. 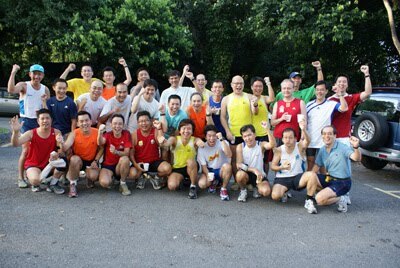 This was 2009 Runners Malaysia 3rd Anniversary Potluck Breakfast which was my first time joining the potluck. 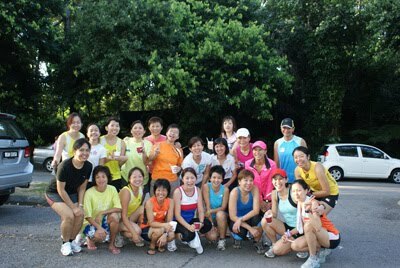 Refreshing back memory lane since Aug 2008 when im first joined Runners Malaysia Beginners Running Program, i gained a lots. Gained a lots in terms of friendships, improved in health, and its also my stepping stone to run a marathon, which i never ever thought of it. 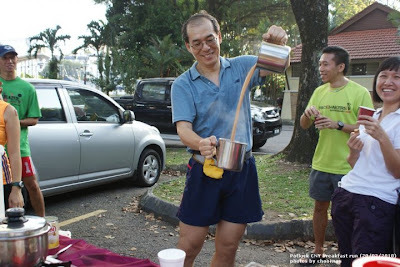 I took 1 year of building up my stamina and im really falls in love with running and i have ran my 1st marathon in December 2009 Standard Chartered Singapore Marathon with 1 gang of runners which i meet in running circle. 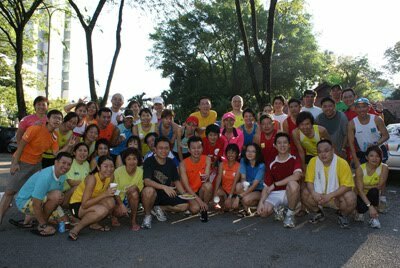 So, coming this 24 April 2010, Saturday, come to join us for a short run and later potluck breakfast. There are various type of runners, be it newly joined, experience runners aka marathoners and also those 84km Ultra-man aka Ultra marathon runners which can share their running experience with you. Come and join us on 24 April, this Saturday 7.30am. See you there.